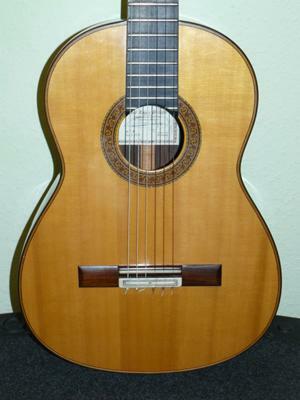 For sale is a flamenco guitar of Jose Lopez Bellido. José López Bellido starting making castagnettes when he was 14. 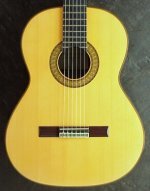 After he became familiar with working wood, he started an apprenticeship under Eduardo Ferrer in Granada and learned the craft of guitar building together with Antonio Marín and his brother Manuel Bellido. After a long apprenticeship, the three set up their own workshop. José opened his own workshop in Cuesta Gomérez after a short time, where he still lives today. He retired at the beginning of 2010. 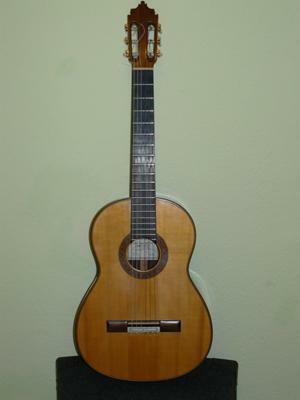 He was one of the best guitar builders in Granada for more than 40 years. 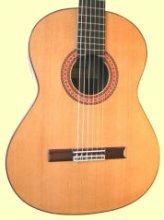 His guitars are characterized by a great workmanship and a great sound with a fantastic, singing treble. This guitar was built in 2004. 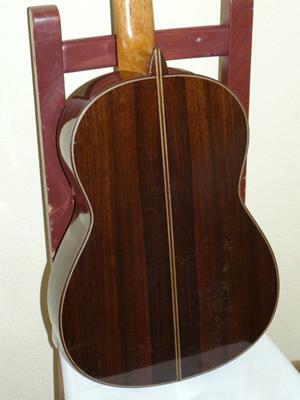 Back and Sides: Solid indian rosewood. Condition: Good. No cracks or repairs. Neck is straight. 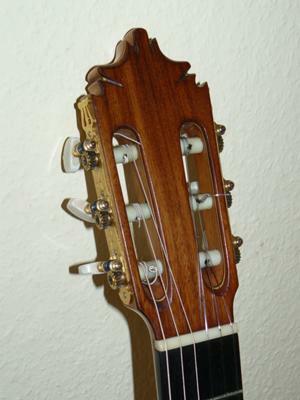 Fustero tuners are working well. But some scratches and nailmarks from playing. 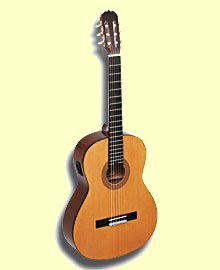 This negra has everything one expects in a great professional flamenco guitar: profound basses, a vibrant mid-range and concentrated trebles that still sing at the 19th fret, and great playability. It is also good for Crossover like Latin or Jazz. New price of the last models was 4.500 €. I sell it for 2.600 € + shipment. The guitar has been sold! 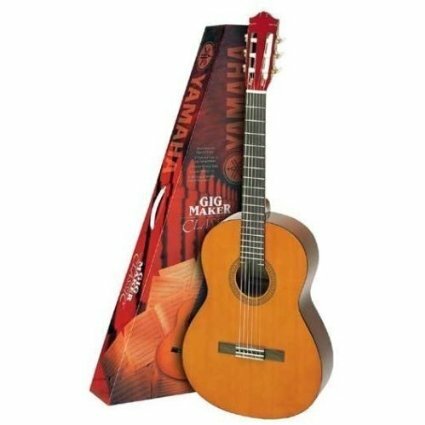 Who sales thIs guitar ? Sorry, the guitar was sold and is not longer available. I am sorry, but the guitar is sold.